Kitten Lord wrote: Have we seen it? Kitten Lord wrote: Because we cannot perceive faster than light objects and his comics are just that, still images, so at best, all we can do is try and equate what we see with what the narrator or writer tells us is happening. Try to, not try and. FTL doesn't exist, but we can see light, so we can see things moving at light speed. There are other media out there by DC where Superman's ability to flight at light speed or faster is supported. Superman in the first movie starring the late Christopher Reeves flies around the Earth to turn back time. As silly as that is, since Earth isn't what makes time work anyway, Superman flies faster than light. It only takes nearly 1 second for light to travel around Earth seven times. Then there's the DC Universe trailer where Superman flies from the Sun to the Earth. The distance between the Sun and the Earth is 93 million miles (149 million kilometers). Superman already makes it to Earth at least within a second. That's 500 times the speed of light. At the bottom of the second image, Superman has reached 184,202 miles per second. Light travels 186,282 miles per second. That's 98.88% the speed of light. That's because the feats are observable. You admitted that you can't even find any videos of Kain using this Planck time processing. Kitten Lord wrote: but as far as Kain goes, your not happy with this, apparently Kain has to actually demonstrate something even if we cannot fathom it. It has nothing to do with not fathoming it. The way figurative language has been used, I don't see any reason to accept "infinite" as literal, especially since there is more than one definition that can also fit the context. I'd say it does that better than the literal meaning. Kitten Lord wrote: Likewise I am fine with Daniel saying Kain is perceiving infinite possibilities, which is added to by all his others comments relative to his statement about time and how it requires something special that Kain and Moebius have to do it. Daniel doesn't say anything about Kain perceiving infinite possibilities. He doesn't use the word "perceive". Daniel also explains further by using the word "various", rather than "infinite". He follows this with figurative speech. And this "ability" is never said to be used outside of the Chronoplast. Furthermore, Kain says these paths and streams trace out into the infinite. He doesn't say that these paths and streams are infinite. It could be likened to rivers making their way to the sea, which is vast. Kitten Lord wrote: If we were talking about Kain alone, I would agree but that is why we go to the developers and ask them to shed light on things unclear, and when they also say "infinite" or "immortal" or "cannot die", and a number of others tings they have been asked then hand waving the characters as being figurative falls flat. As I said before, figurative speach and metaphors make sense when its a story, and Kain using them may work but not an explicit answer to a Q&A to clarify things, thats where a metaphor has no place, less so with this context. We don't see Kain die. He turns into bats and flees. We have seen that the Heart of Darkness was ripped out of him and he still lived. Kitten Lord wrote: If I believed this I would not mind, agreering to disagree is fine but if past events are anything to go by this is not the case. You start the argument every time I bring up this feat, hence why we have a thread here now. You continue to respond to me, even though I'm weary of discussing the issue. We've been doing this for at least two years. Kitten Lord wrote: Why does it seem like you spend more time trying to counter LoK related arguments than the others on here? For example you can fill pages with arguments of LoK, but all that nonsense recently in the DBZ thread barely got a response from you. You enter a thread, make a comment on kain that you disagree and then ignore everything else like trying to downplay Kain is the only interest. Because Kain and Raziel are more common. I'm not downplaying Kain. I'm doing what I've always done with any other character before Kain. Kratos got the same treatment. Also, I don't care much for anime. I only have a few favorites and it's been years since I've watched DBZ to make any comment about the series. We've been discussing LoK for quite some time now. I've never played the games, but I've learned a lot about the series. It's probably the next series I know besides Metroid. So yeah. I'm finished here. I'm thinking of making a vampire of my own. You say that but without the text in your scans i would have no idea what Superman is actually doing in his scans. And its the quotes, not the image that makes it clear what is happening. Because everything about it is literal, as I said, all those things kain says happen, their not just quotes or metaphors, their things he does. The fact we do not see him in the chronoplast sorting out infinite possibility does not change the fact, he does so, and the resulting story that we see in the games is a byproduct of that. Daniel doesn't say anything about Kain perceiving infinite possibilities. He says Kain sorts out what he sees in the chloroplast. The infinite possibilities being what he sees. He follows this with figurative speech. There would be no point in using figurative speech when answering and explaining what something literally is, or is happening, which was the initial question and what Daniel was talking about. 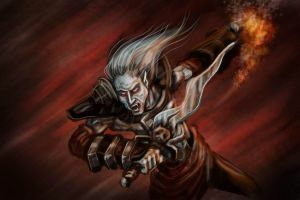 Kain did not figuratively look into the chronoplast, and the events of that were not figurative. The reason he was asked is because its not clear and he clarified, even going so far to quote Kain on many occasions , the whole thing about going mad if you look into the chronoplast and the unique element Daniel brings up about Kain and moebius being able to do so without going mad further adds to the point of infinite being more than a metaphor. Timelines are generally theorized to be infinite under science, as is time, timelines are one of the few times infinity makes sense literally. I do not force you to argue against it every time I bring it up though, you start the discussion when you reply to my argument that Kain destroys his opponents with TK during the first Planck time unit. If your weary I am surprised you argue against it every time I bring it up even when you know were at an impasse. What do you mean? Siring one yourself? Not sure that is scientifically possible. At least you've got humor! Siring a vampire! I laughed! 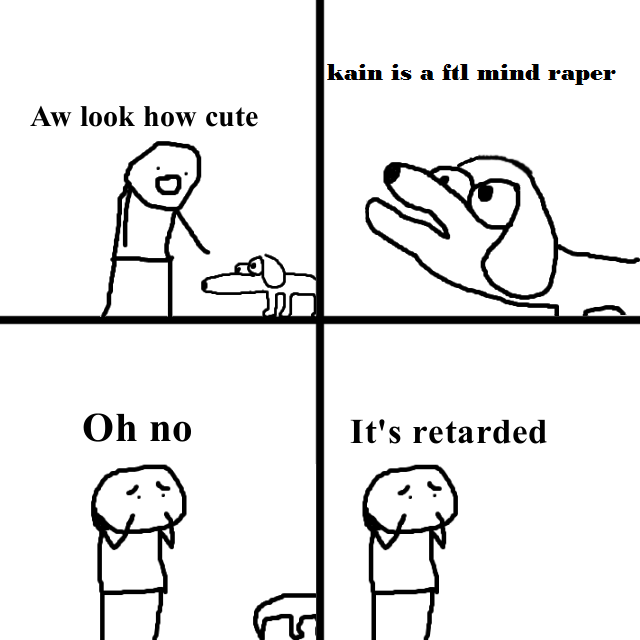 kain having infinite reaction speed cause things ingame and in cutscenes dont support it...i mean if he had That it would literally be impossible to harm him or surprise him cause hed cause it would be as if he can see any attack coming right? The only times Kain "may" have been able to use his reactions in the story are times where plot induced stupidity would be a requirement for the plot to continue.